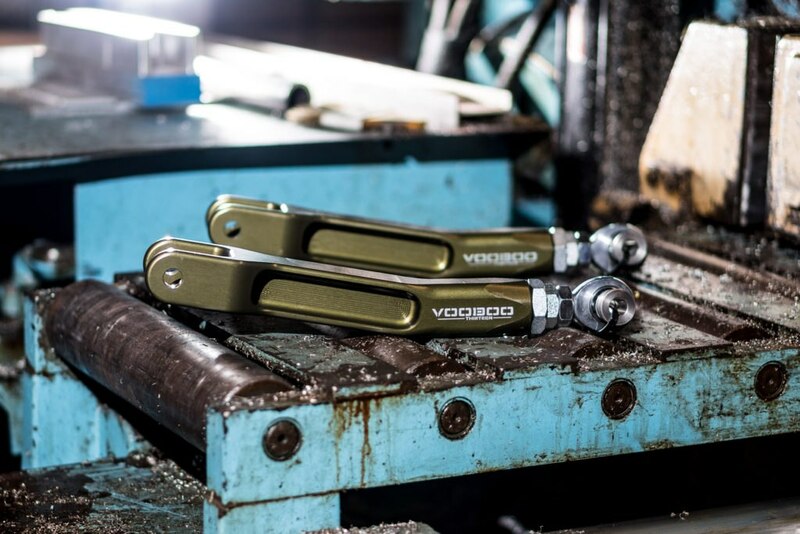 The bodies are made from high quality USA sourced 6061 aluminum which is CNC machined to its final shape. Our arms are extremely strong and as light as possible. We offer 3 color choices. Anodized options are Hard OD Green or Hard Clear (grey). MIL-A-8625 Type III hard anodizing is used to provide the most durable finish. 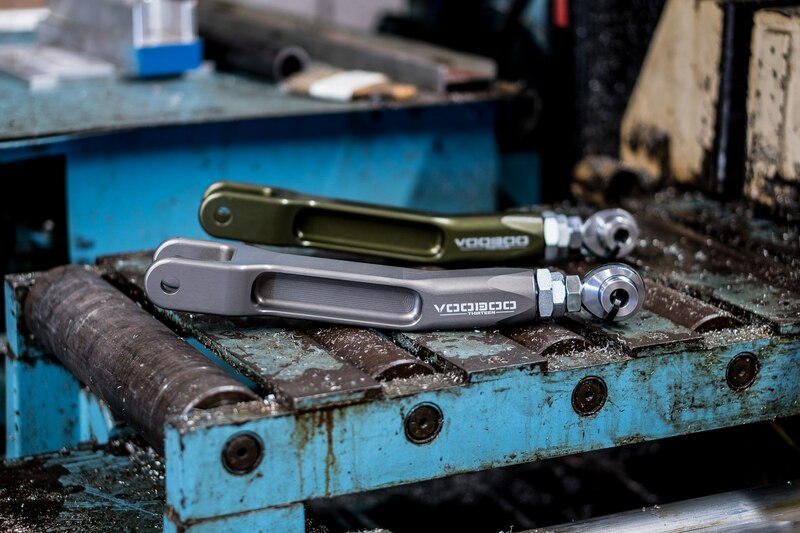 Our raw finish arms have no anodizing and are raw 6061 right as they come off the machine. Due to 6061 having extremely high anti-rust and corrosion resistance properties you don’t have to worry about the finish deteriorating. Our signature Voodoo13 CNC machined steel adjuster and QA1 rod end are both placed on the sprung weight side of the vehicle which lowers unsprung weight which improves overall suspension performance. 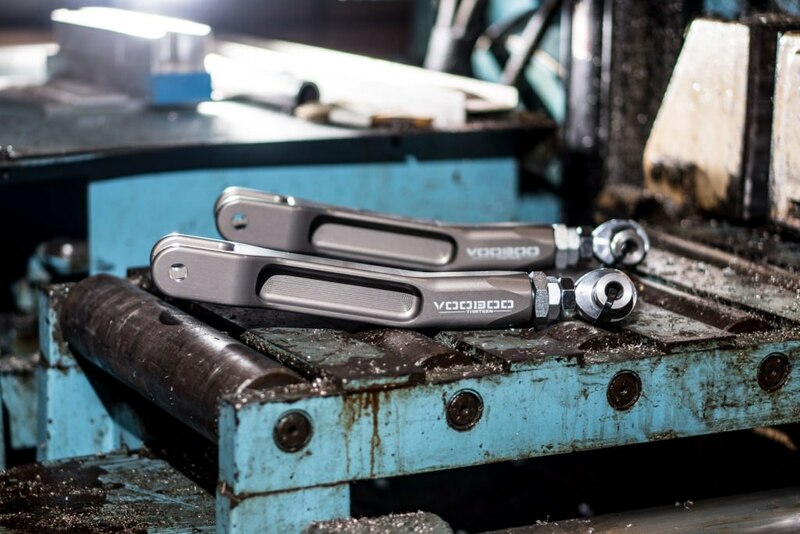 QA1 rod ends eliminate play from the stock rubber bushings and provide better handling response and predictability. All hardware is zinc plated to ensure resistance to rust and corrosion.